Tea too strong? Too weak? Problem solved. 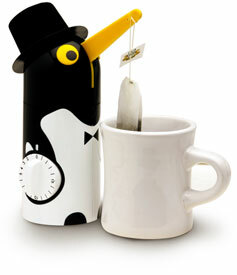 The tea penguin always brews the perfect cup. Set the timer for your ideal brew time (from 1 minute up to 20) and he lowers the teabag into the water. When the time is up, he lifts it out.